Nestled against the towering bluffs of the Niagara Escarpment, Wiarton is a thriving four seasons community.  Founded in 1894, Wiarton is the largest community within the amalgamated municipality of The Town of South Bruce Peninsula. Its most famous resident, Wiarton Willie, fuels Wiarton’s international recognition, as part of the Wiarton Willie Festival, which can run as long as 5 days. Wiarton Willie hosts national and often international media for his Groundhog Day prediction. While a primary destination for visitors and tourists in the summer months, there is always something to see or do year round. A strong artistic community is evolving making Wiarton a destination for antique hunters, art collectors and people who are seeking the unique in a world based on mass production. Reflecting the diversity of business beyond the traditional boundaries of Wiarton, the Chamber chose to reflect its varied membership in naming itself the Wiarton and District Chamber of Commerce.